You are working at the reception desk of a healthcare practice. Suddenly, there is a police officer or court officer giving you a court order to produce patient records! In this month’s Q&A with Jean, we discussed how to prepare patient records for a court order with confidence! Now, just a reminder, I’m not a lawyer and I don’t play one on TV. These are my recommendations based on my experience as a director of health records in hospitals in Canada, as a court reporter, and as a mentor to clinic managers in independent healthcare practices and not legal advice. In this article, I am not discussing a situation which relates to a life-threatening situation that requires an immediate response. I am also not discussing when order relates to the type or quality of healthcare provided to the patient or when the actions of the healthcare provider or clinic is being challenged or reviewed. These are topics for a different article. Your reception staff should not accept the court order but, instead, immediately ask the officer to wait for a few minutes so that they can request their supervisor or privacy officer to meet with them. Who is named in the court order often the clinic manager of the clinic. Your clinic should be specifically named or, perhaps, the name of your lead physician or healthcare provider. Record the date and time that you received the order. Clarify when the response is required. The name and the contact person of the officer that delivered the court order (if possible) or, at minimum, the contact information of the court, for example, the court clerk’s office or the witness co-ordinator, or the sheriff’s office is included on the court order. The province or jurisdiction of the court. Generally, it should be the same province where your clinic operates. If not, contact your lawyer for advice on how to respond. This is not a routine request from a patient to access their health records or a request to disclose their records to a third party like a lawyer or insurance company. In those routine requests, patients routinely require to provide a written, signed consent before you can disclose their records. When you receive a court order or subpoena to produce patient records at a court or other legal proceeding, you are not required to get a signed consent from the patient. Each healthcare practice should have detailed policies and procedures on how to prepare patient records for a court order. Review these now. If you don’t have up-to-date policies and procedures, see the Practice Management Success Tip, How to Prepare Patient Records for a Court Order. Phone the contact number on the court order. Confirm the date, time, and location that you are required to appear. Find the patient information maintained in an electronic database, electronic medical record (EMR) and/or paper records. Remember to look for both active and inactive patient records as needed by the court order. Read the patient record carefully, line by line, to ensure that the record is complete. For example, make sure that all lab reports, prescriptions, consultation notes, etc. are included in the record. Secure the record to prevent snooping or modification to the record. Also ensure that the record is available for continuing care and treatment of the patient, if needed. In an electronic record, prepare an audit log of all the transactions on that patients’ chart. Ensure there is no duplicate or second chart for the patient that may have been created in error. Search by alternate names, spellings, date of birth, etc. Ensure that each custodian included in the patients’ care and your healthcare practice’s privacy officer is informed of the court order to produce the record. The custodian should be provided an opportunity to review their clinic notes. 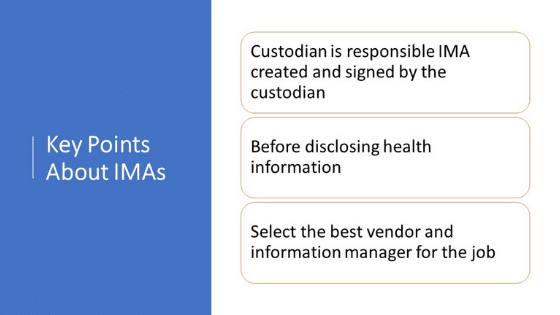 Remind the custodian that they cannot further disclose the patient's record. Review the court order and identify exactly what information is requested. It might be for specific dates or a condition or treatment. Keep complete and detailed notes about how you prepared your response to the court order. You will bring your notes with you to court to assist you in your testimony about how your clinic creates and maintains patient records and what you did to respond to the court order. After your court appearance, you will maintain your notes as part of the business records for the clinic. Collect the information and record each of your steps and your results, including the records that you searched for and did not find any results. If you maintain your patient records in an electronic medical record (EMR) or digital practice management software, print out a hard copy of all the information that responds to the information that is requested. 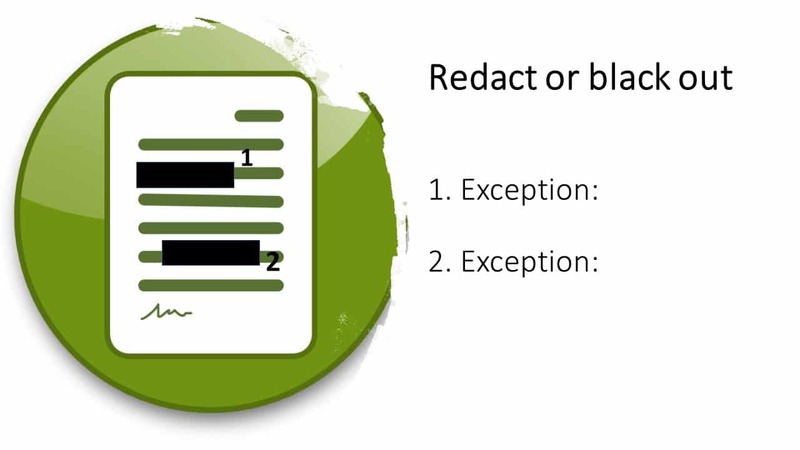 Sever (also known as redact or black-line) any information that is not appropriate to include in the disclosure. Cross-reference each redacted entry to the legal authority not to include the information in the disclosure. If you are using an EMR, organize the paper print-out in a format that makes sense. This might be chronological date order, or group like records (clinic notes, lab results, etc.) together. Create a ‘Table of Contents’ of the information in the patient record. 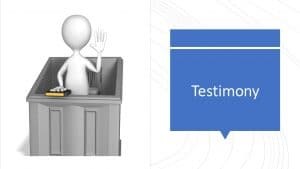 This will help you in your testimony to quickly find requested information, help the court to locate information in the records that you have prepared. At the same time, handwrite in ink at the bottom of each page the sequential page number in the package. Update the table of contents with the page numbers. Stamp ‘COPY’ on each page. When the package is complete, make a photocopy (or two) of the entire package. The ‘original’ paper copy will be maintained at the clinic. Bring the original and the copy to court and ask the court to accept your copy. Return the original package to the clinic and securely maintain this as part of the business records of the clinic until the court file is complete. As the clinic manager, your role at the court is to tell the court how patient information is collected and maintained in your healthcare practice. Your job is not to interpret the content of the clinic notes. A few days prior to the court date indicated on the court order, phone the clerk’s office or witness support office to confirm the date, time, and location of the proceedings and if you are still required to attend. On the day of the proceedings, report to the clerk of the court. Bring with you the court order, your photo ID, the patient record, and your notes. Bring a good book to read in case you have a long wait. You will be advised (again) if you are required that day. If you are not required, the clerk will make a notation on your court order to appear that you attended and that you have been dismissed. Keep this in your business records with the patient record. If your testimony and the patient records are required, you will be called as a witness during the court proceeding. 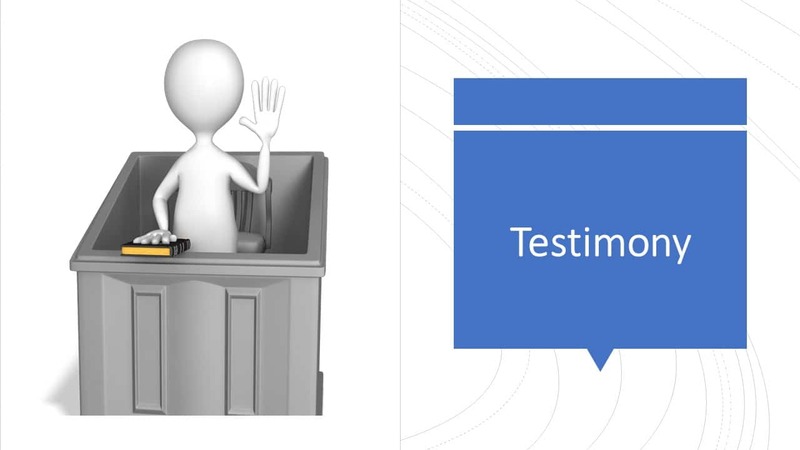 You will be asked to swear or affirm an oath to speak honestly during your testimony. Your role at the clinic, how long you have been in that role, your routine tasks and responsibilities at the clinic. Describe how patient records are maintained. Be prepared to explain your EMR or computer patient management system (if you have one). Bring your notes about the steps that took to prepare for the court order. You may ask permission of the court to refer to your notes that you created when preparing to respond to the court order during your testimony, if necessary. Explain that the patient records are kept electronically and that you have prepared a paper print-out of those notes. Be prepared to explain how you know that the records are complete, not missing any details, etc. If the court asks you to enter the records into evidence, explain that you have an ‘original’ and a ‘copy’ and ask the court to accept the ‘copy’ into evidence. Did you give a copy of the patient records to the court? To whom? Remember to add this notation to the patients’ record that you disclosed this information according to the court order. Any follow-up required for this disclosure? Review your procedures. Anything that you would edit or provide additional instructions that will help you to be better prepared for next time you receive a court order? Submit a copy of your out of pocket expenses (parking receipts, meals, etc.) for re-imbursement by your employer, if applicable. Review your policies and procedures now to ensure that it includes how to respond to a court order. Train your reception staff on what to do if they receive a court order. Train your privacy officer and clinic manager on how to prepare a patient record for a court order. Depending on where you work, you may receive a court order regularly or it might be a once-in-a-career experience. When you have policies and procedures and a little bit of training to assist you, you can respond to a court order calmly and confidently. If you are a member of Practice Management Success, login and access the ’Procedure: Preparing Patient Records for a Court Order’ template and the replay of the tutorial video. Download the FREE eBook - Preparing Patient Records for a Court Order Now! Jean Eaton is constructively obsessive about privacy, confidentiality, and security especially when it comes to the handling of personal health information. 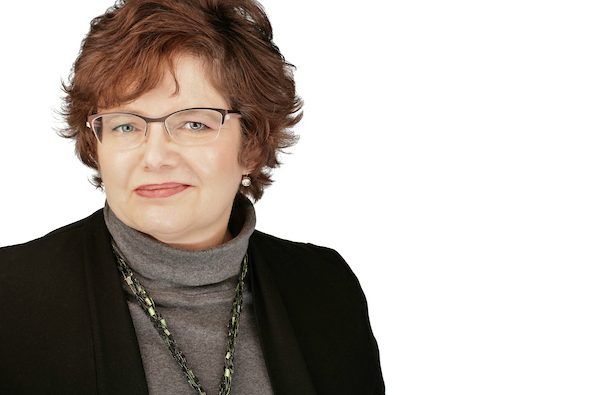 If you would like to discuss how I can help your practice, just send me an email. I am here to help you. Can You Use Text Messaging With Patients? The short answer is, ‘Yes’. What is the Purpose for Texting? Clinics are feeling pressured to provide texting as a communication option to their patients. It is important to be clear about why you want to use texting. What is the primary purpose for patients to text the clinic? It may be because they are in a remote community and texting is the only way to keep in touch with their healthcare provider. You might choose to accept text messages for appointment requests or continuing care and treatment. Texting is generally not a secure communication method. It is difficult to confirm the identity of both the sender and receiver which can result in both communication and medical error. It is difficult to communicate clearly using text short form and emoji! As the custodian, you need to weigh the risks of using texting vs not using texting. For example, if your work includes assisting people who are in crisis or are otherwise at risk, you may decide that the risk to the patient who has access to their healthcare provider using unsecured text messaging is less of a risk than the patient who experiences a critical incident and does not have other access to their healthcare provider. 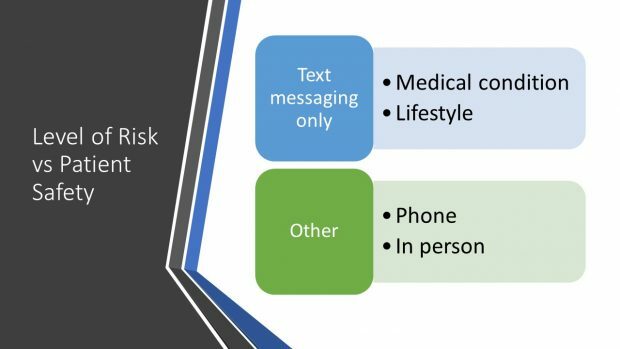 You must decide what are the acceptable risks and appropriate use of text messaging. I find that creating scenarios is a good way to do help you set up your boundaries. In what situations is using text messaging OK? In what scenarios is it not appropriate to use text messaging? Are there alternative technologies that can better, and more securely, meet these needs? Record your reasons about what you will – and what you won’t – accept in your text messaging solution as part of your project documentation and implementation training. Consider how you will document the communication from your patient into the patient’s health record. Is the device to receive the text message registered with the clinic? Who will receive the text message from the patient? How will you transpose that meaningful communication with the patient to the patients’ health record? Be guided by the discussions in your team and with your patients to develop your policies and risk mitigation plans. Is your goal of a text solution to automate a workflow like routine appointment reminders? Or, perhaps, some episodic messaging like offering follow up appointments to discuss test results? an agreement to follow the rules about the technology solution. If you are a member of Practice Management Success, click here to access the sample authorization agreement. There are some third party vendors that can help you with routine text messaging with your patients. Wherever possible, use two factor authentication. For example, you might have a system where the patient must enter a PIN number before they can read the entire message from the clinic. There are trusted technology solutions that you can use for text messaging. Many EMR providers now allow the clinic to text message your patients right from the EMR or patients can access the EMR using a patient portal. This is, by far, the most efficient workflow. It is usually the most secure technology and integrates the communication into the patients’ health record without copying and pasting, uploading, or re-typing into the patient record. Microquest’s Healthquest EMR, for example, offers integrated appointment reminders via email, text, or voice messaging. Clinics can also allow patients to book their own appointments online with an online calendar integrated to the clinic’s Healthquest EMR. Alternate third party texting solutions from trusted vendors that we have interviewed on our podcast, Practice Management Nuggets for Your Healthcare Practice, include Bleen and ezReferral. Bleen is a third party patient appointment management application that allows patients to register with your clinic to receive appointment reminders by text message or phone call. The system also provides a self-help solution to patients to schedule their own appointment with their healthcare providers. Clients with Bleen have seen dramatic changes in their patient management resources – reducing 40% to 60% of phone calls and 75% of no shows. Click here to listen to the Practice Management Nuggets interview with Chris Narine and Robert Cove of Bleen. ezReferral provides a third party referral management application that improves communication between the patient and the referring and consulting providers. The system saves an average of 60 minutes of staff time for each referral and improves the patients’ access to health care in a timely, efficient manner. It also includes a built-in secure fax solution. This solution is ideal for healthcare practices with referrals within the medical community and even better when you are working with multidisciplinary referral teams. ezReferral works well for both paper based and electronic medical record based practices. Click here to listen to the Practice Management Nuggets interview with Dr. Denis Vincent of ezReferral. 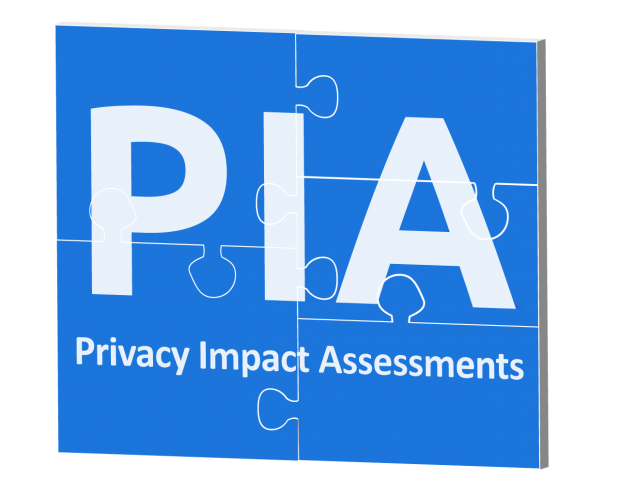 Before you implement a text solution to your practice you need to update your privacy impact assessment (PIA) or prepare a new, project based PIA. This doesn't have to be a big undertaking but it is really important that you take the time to design and document your application and implementation. If you need some help with your PIA, I encourage you to take a look at our on-line e-course, Protect Your Practice, Your Assets, and Your Patients with Privacy Impact Assessments. 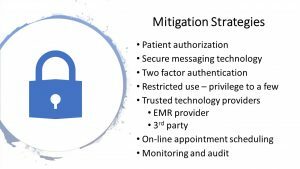 Efficient work flow, clear procedures, and rules of use authorization with your patients improves the likelihood that text messages will be used the way that you intended. However, these practices does not make the technology breach-proof. Carefully consider the merits of text messaging and how you can mitigate the risks before implementing text messaging in your healthcare practice. Download the FREE Report - Can You Use Text Messaging with Patients? If you are a member of Practice Management Success, login and access the webinar replay, and the patient authorization form template. Jean L. Eaton is constructively obsessive about privacy, confidentiality, and security expecially when it comes to the handling of personal health information. If you would like to discuss how I can help your practice, just send me an email. I am here to help you. How Do You Celebrate Your Receptionist? National Receptionists’ Day is celebrated annually on the second Wednesday of May. It is celebrated by organizations around the world, including the U.S., Canada, the U.K., Australia and New Zealand. National Receptionists’ Day was first celebrated in 1991 as a special day to recognize and appreciate the many contributions receptionists make to an organization. Foster recognition of the importance of the receptionists role. They are usually the first person a customer or client meets when they visit a company. Promote pride and professionalism amongst receptionists for the important role they play within an organisation. Give receptionists an opportunity to share stories and link up with other colleagues. Display a poster in your clinic to let your patients know how much you appreciate your receptionists. Here's a poster that you can download and use right away! Here's another great – and easy! – way to create engaging content for your social media accounts and team building, too. Create one – or more – social media posts recognizing the value that your receptionists bring to your team and patient care celebrating the receptionists that you have in your clinic. Invite your staff to participate. 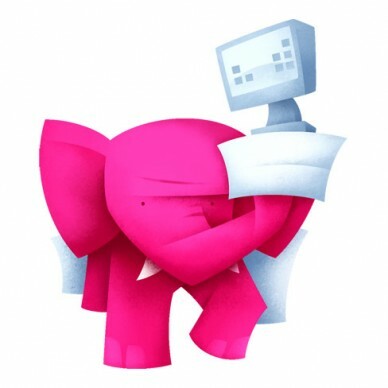 Send an email, memo, or poster asking them to share what your Receptionist means to them. 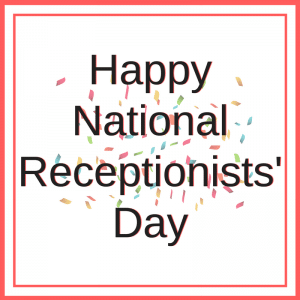 National Receptionists’ Day is May 9th! At ABC Clinic, we recognize and appreciate all of the amazing contributions our Receptionist makes. Thank you (NAME)! Pin your post to the top of your Facebook timeline. Create additional posts to highlight each staff members' thoughts on your Receptionist. Share photos of your Receptionist being celebrated. Would you like more tips like this? Members of Practice Management Success Membership enjoy access to Tips, tools, templates and training to help you start, grow, fix, or maintain your healthcare practice! Membership is open to all healthcare practices of any size – physicians, optometrists, audiologists, dentists, chiropractors, physiotherapists, nurse practitioners, and more! Member access to online resources when you need it along with networking and support from other clinic managers, practice managers, and healthcare providers in independent community practices – just like you! How Do You Declare as an Affiliate? Q1: When you have multiple custodians in your practice, when and how does a custodian declare themselves as an affiliate? Q2: What is the importance of the audit log in your EMR? Q3: Do you have a privacy officer? 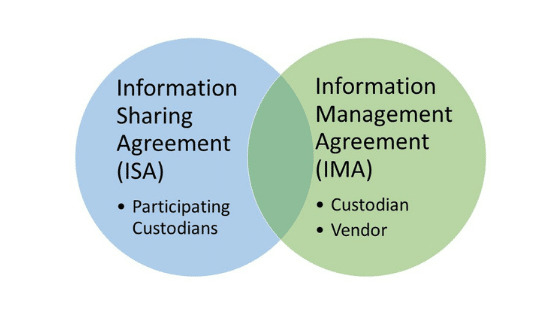 Roles and Responsibilities of a Privacy Officer. Q4: When a new physician / custodian joins your practice what forms do they need to complete? Q5: How to report a patient demographic error in Netcare. 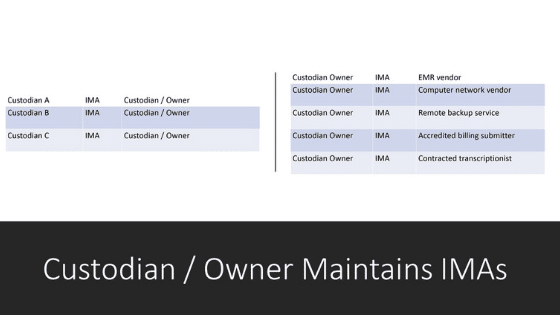 When might a custodian want to declare as an affiliate? Team or group practice where there is a lead custodian. When a custodian is not working in the capacity of a custodian, or wishes to work as an affiliate AND there is another custodian who will assume the responsibility of a custodian, then the custodian can declare themselves as an affiliate to that named custodian. I prefer to include the declaration as part of the Oath of Confidentiality process. You could choose to do this as a separate process –just make sure to document the declaration and keep it in your clinic business files!